I have known of co-ops my whole life. Maybe because of my hippie-dippy upbringing. A few years of my childhood were spent hanging out with my mom's boyfriend (at the time) and he was a total hippie - refurbished VW Beetle and all. He was a super cool dude and shared a big piece of land with a bunch of other really cool dudes (and dudettes). We would build our own houses and grow food and play music and go on the river in rafts and stuff. It was where I learned about community and giving more than you take. Ah - that was a time in my life where I really felt like my world was right. Sure I was 5 years old, but hey... I know a good thing when I see it! Fast forward to about 2 years ago when I was inspired to launch this blog and build this community to be more than just a platform to share my knowledge but truly feed into maker lives. I had no idea that it would grow at the awesome pace that it has but I feel so incredibly blessed it has and also feel like we are all just getting started. I knew it was time to revive those co-op roots. Since launching the blog, I have had the idea to bring that co-op vibe that I loved as a kid into my maker world. I mean the word itself - co-operative means: "a farm, business, or other organization that is owned and run jointly by its members, who share the profits or benefits.". All of that is EXACTLY what I envisioned for Stitch & Hustle. Putting it into action takes work. It started with posts and sharing and then led to Stitch Up Chicago and bringing people together to share, be in community and knit together. But Stitch Up Chicago was just the beginning. Here comes the next step: The Get Your Stitch On Kit Shop! This Kit Shop has quite truly been over a year in the making. I am beyond thrilled to be here. Writing this. Launching this. It is surreal. So many hours and hours upon hours have gone into this. Abbey and I have poured our hearts and energy into this for YOU! Selecting fibers. Editing listings. Updating designers. Changing and doing all of that over again. But each step of the way, I have been blown away by the response of everyone involved. It is so incredibly exciting to work with a group of talented designers and makers to bring this to reality. The Get Your Stitch On Kit Shop! is truly For Makers, By Makers. 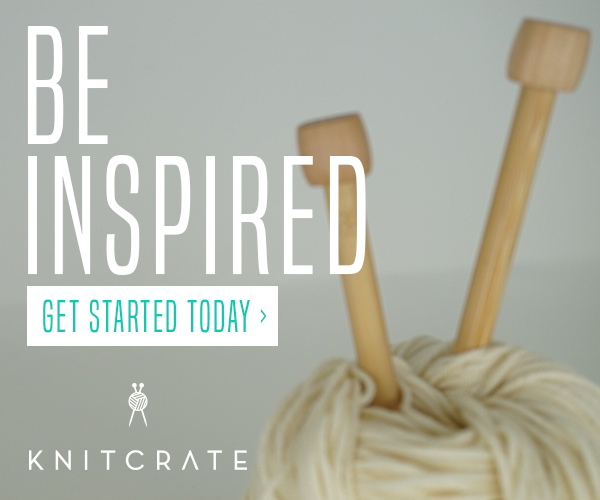 Featuring some of the most amazing talent of our community you can now get a kit to make that awesome item you saw in your Instagram feed. This is a chance to feed directly back into the maker community as well by getting kits from your favorite makers. To celebrate the launch and first year of the Kit Shop, we have a Limited Edition Kit from Crave Yarn and only a handful of these exist. 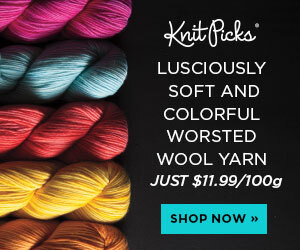 Amor has selected the chunky soft squishiest Alpaca fiber and dyed the perfect shades of blue. Get the Kit here. And that is not all. Beginning November 1st, one of our fabulous designers will be featured each month for the next 12 months! You will get to know each of our amazing designers on a deeper level and we have something special planned for each month with the Featured Maker. So I encourage you to visit the Kit Shop. See all these wonderful projects that you can make or give as a gift to your favorite maker for them to make. In the truest hippy-dippy co-op vibe, let's support each other and share the love.